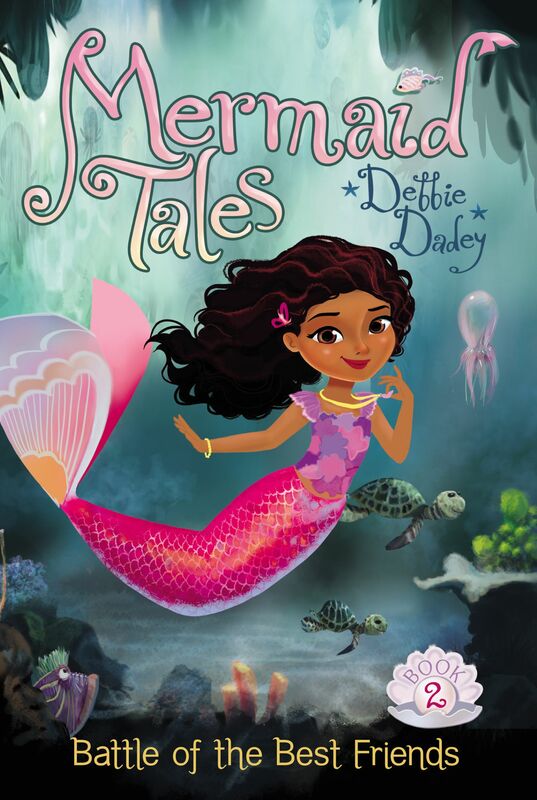 In this splashy new Mermaid Tale, a megapopular boy band is set to perform at an undersea celebration—but what if a mean girl keeps Shelly from joining in the fun? Echo, Shelly Siren’s best friend, is doing tail flips because she’s going to see the hottest boy band around—The Rays! It’s her classmate Pearl’s birthday, and the Rays are going to perform at her exclusive party. Troublemaker Pearl has invited just about everyone—everyone, that is, except Shelly! Shelly urges Echo to go anyway, but Echo doesn’t want to leave her friend out of the exciting celebration…so Shelly hatches a plan to make sure Echo sees her favorite group. And when the Rays do come to town (amidst plenty of under-the-sea, boy band drama), Echo returns the favor so that Shelly is included in the festivities—in the most unexpected of ways! WHAT IS TAKING SHELLY so long?” Echo asked. She swam back and forth, then peeked around the corner of her shell. If Shelly didn’t hurry, they would be late for school. “Too bad I don’t have one of those gadgets humans use to talk to someone who’s far away,” Echo said. People fascinated Echo. Ever since Shelly’s grandfather had told her about their machines that capture singing, Echo had wanted to see a human. She even wondered what it would be like to not have a tail. She did a huge backward flip and smiled. Having a tail did have some advantages. If she kept practicing her flips, she hoped to make the Tail Flippers team at her new school, Trident Academy. Tryouts were this week. Her best friend, Shelly, had already tried out for the Shell Wars sports team at school. Echo did another flip, this time twisting sideways. 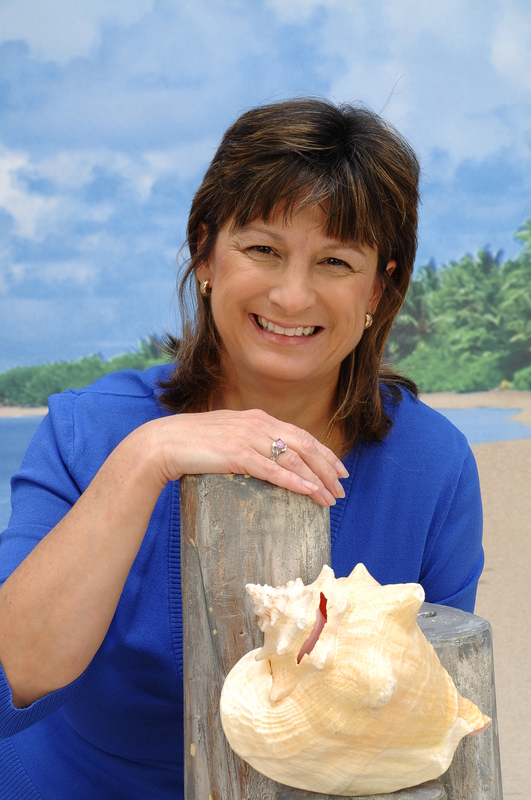 “That was great,” Shelly said, swimming up beside her. The two mergirls splashed past the statues of famous merfolk in MerPark. “I can’t believe Pearl was able to do it,” Echo said as they swam quickly along. Shelly brushed a lock of red hair out of her face. “Pearl?” she asked. “Pearl didn’t even try out.” Pearl was another mergirl in their third-grade class, who seemed to think she was better than everyone else. “You’re kidding!” Shelly screamed. There wasn’t a merperson alive who hadn’t heard of the Rays. They were an amazing boy band and they were very, very cute. “Didn’t you get your invitation?” Echo asked. “I bet you’ll get it today,” Echo told her friend. She smiled as they went into the school, but she was a little worried. Pearl wasn’t exactly the nicest mergirl in their class, and she didn’t like Shelly very much. What if Pearl hadn’t invited Shelly? What would Echo do?